Access an online copy of the whole book free of charge for 30 days. This is only available to schools. Once you've finished evaluating you can buy printed copies via this site or through your usual sales consultant or bookseller. Drive achievement in the MYP and strengthen scientific confidence. 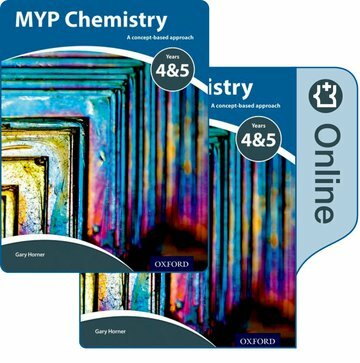 Equipping learners with the confident scientific understanding central to progression through the MYP Sciences, this text is fully matched to the Next Chapter curriculum. The inquiry-based structure immerses learners in a concept-based approach, strengthening performance. Develop comprehensive scientific knowledge underpinned by rich conceptual awareness, equipping learners with the confidence to handle new ideas. Fully integrate a concept-based approach with an inquiry-based structure that drives independent thinking. Build flexibility interwoven global contexts enable big picture understanding and ensure students can apply learning to new areas. Fully mapped to the Next Chapter curriculum and supports the Common Core. Strengthen potential in the MYP eAssessment and prepare learners for IB Diploma. This pack includes one print Student Book and one online Student Book. The online Student Book will be available on Oxford Education Bookshelf until 2028. Access is facilitated via a unique code, which is sent in the mail. The code must be linked to an email address, creating a user account. Access may be transferred once to an additional user.